It was only coincidental that I attended the rehearsal of Christy Funsch’s Mother, Sister, Daughter, Marvel on International Women’s Day but it felt celebratory nonetheless. 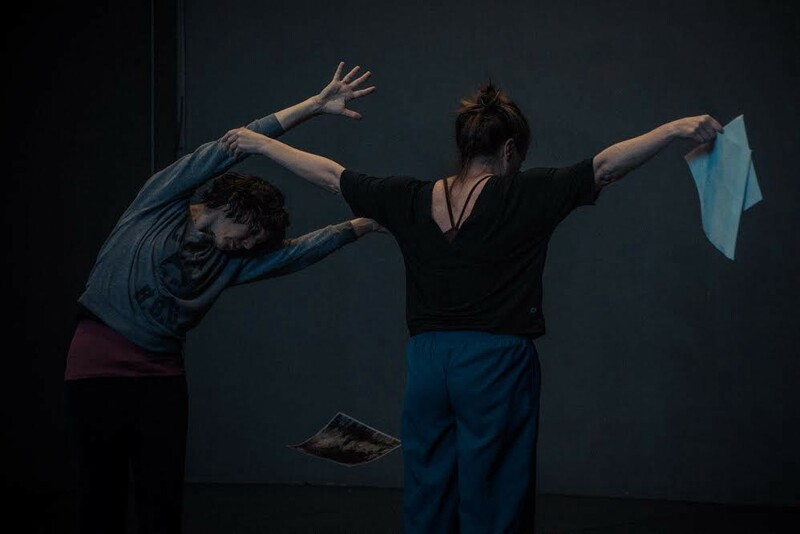 With its all-female cast, the piece salutes the manifold contributions of women artists to the Bay Area dance ecology in both earlier and recent history. On the day I visited, four of the six performers (Chris Black, Laura Elaine Ellis, Aura Fischbeck, Nina Haft, Chinchin Hsu and Courtney Moreno) were present. At one point, they were rehearsing a sequence where Black, Fischbeck, Ellis and Haft take a seat downstage and ask each other questions while Hsu and Moreno perform a duet upstage. At one moment, the performers asked Funsch how much they should interact with Hsu and Moreno downstage. Funsch responded in the negative: “You are not in the same history as they are, I want it to be two different things.” In the same way that she had embedded a 1965 solo by Daniel Nagrin in her 2016 work Le grand spectacle de l’effort et de l’artifice, here Funsch juxtaposes different histories, allowing them to unfold simultaneously and overlap, but never to completely interact. Beyond personal memories, the piece also references Bay Area’s dance history, by focusing on the California Dancing Girls, a group led by Anita Peters Wright at the beginning of the 20th century. Funsch first read about the group in dance historian Joanna Harris’ Beyond Isadora, Bay Area Dancing, 1915–1965 and remembers wanting to reference it at some point. The occasion arrived two years ago, when she met Wright’s niece Judy Job. Job shared stories about her aunt and the California Dancing Girls, whose archives Funsch accessed at the Museum of Performance + Design. Isadora Duncan was a major influence of the California Dancing Girls, as one can tell from looking at the black and white photos of the group hung in the ODC lobby. Job recalled her mother, who ran a dance school, telling her: “Isadora gave me permission to find my dance.” The group rehearsed at the Orpheum Theater during the day and did some vaudeville work, as well as on-site choreography, including at Ocean Beach and at the Golden Gate Park. The California Dancing Girls performed at the World Fair in 1915 at the Palace of Fine Arts. They travelled to New York in the mid twenties and when the stock market crashed, they remained. Wright rented a studio in midtown, where she taught. She shared it with other dance artists, including Anna Sokolow, who mentored Job when she came to New York to visit her aunt and work on a solo. The California Dancing Girls was a very female centered group: “The women really did everything. I related to this idea of entrepreneurship and self producing — which is a very strong tenant of what this community is about,” Funsch commented. “When I saw the photos at Seal Rock I also felt a strong affinity: site-specific work is such a big deal for some people here.” Funsch drew material directly from the photos of the California Dancing Girls that she found in the archives, and also from the Tanagra Figures, a series of movements and still forms performed at the end of every Duncan classes. There will be a pre-show talk by dance historian Joanna Harris and performance by dance legend Judy Job on Saturday April 7, at 6 :00 PM at ODC Theater.